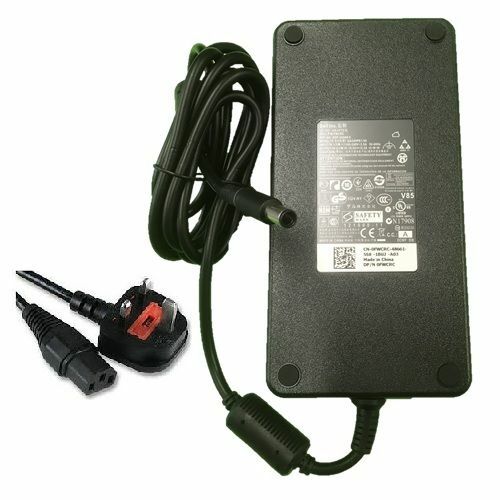 Genuine Dell 19.5v 12.3a charger, outputs 19.5v 12.3a with 240w of power and is for the more power laptops, notebooks as well being used on desktop replacements PC’s, this is an original Dell 240W power supply and is supplied with the slim version of charging unit and mains power cord. Part numbers: ADP-240AB D, FHMD4, FWCRC, GA240PE1-00, PA9E, 0FHMD4, 0FWCRC and many more. If you order the Dell 19.5v 12.3a charger from outside the UK, we will send your countries correct power cord.